Freshness, whitening and protection in one brush. 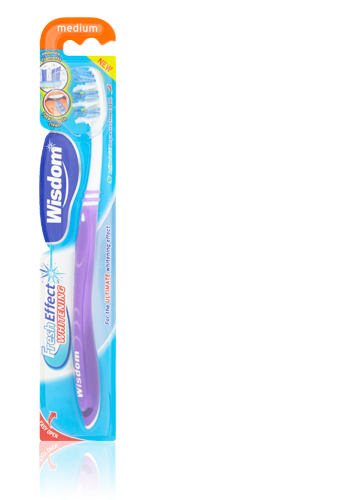 Wisdom Fresh Effect Whitening has been developed to offer great cleaning, freshness and whitening every time you brush. 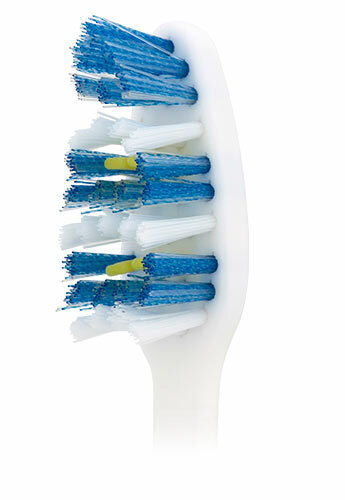 -Spiral design filaments provide up to 24%* more cleaning power to help naturally whiten teeth. -Safe and effective mint fragranced, anti-bacterial protection built into the tongue cleaner to keep your brush fresh too. * Lab tests. Spiral filament design provides up to 24% better cleaning action versus standard filaments.